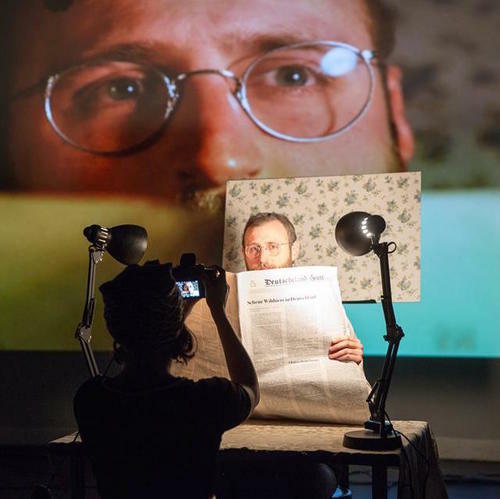 SAM JAY GOLD is a theater artist, filmmaker, and arts educator based in New York City. As a THEATER ARTIST, Sam works as an actor, puppeteer, and deviser. His original work has been featured at St. Ann’s Warehouse, the Bali Arts Festival, and the New York State Puppetry Festival. Sam studied traditional forms of puppetry around the world as a 2011/2012 Thomas J. Watson Fellow and trained for many years as a Corporeal Mime with Thomas Leabhart. He is a company member of Trusty Sidekick Theatre, as well as Roman Paska's Dead Puppet, performing most recently in Echo In Camera. Other recent credits include Up and Away (Lincoln Center), Fall of the House of Usher (Mass MoCA), Blossom (Dixon Place), All We Have Left (O'Neill Theatre Center, La MaMa), Venice Double Feature (HERE Arts) and All Hallow's Eve (O'Neill Theatre Center). When working as a FILMMAKER, Sam focuses on inventive approaches to storytelling on camera. His work has received national broadcast, won awards in festivals, been featured on NPR, as well as the Independent Television Festival, SeriesFest, NYTVF and the Puppets on Film Festival at BAM. 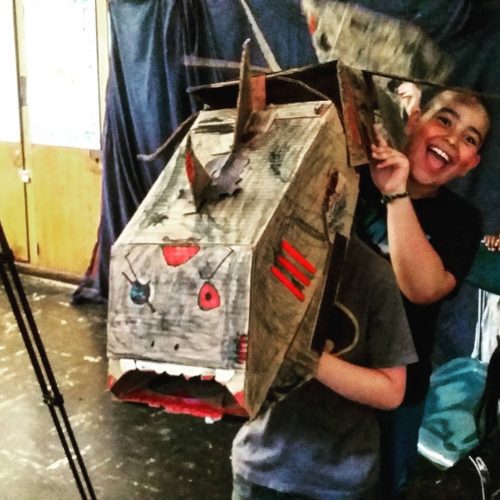 Sometimes, he works with kids to make monster movies using in-camera practical effects. He spent three years working with Martian Media, part of the TONY award winning entertainment company, Martian Entertainment, to write, direct, and incubate new media content. Sam's work as an ARTS EDUCATOR spans disciplines and age groups. He is a teaching artist at The New Victory Theatre, where he helps develop and teach new curriculum in workshops, residencies, and public engagements events through the New York City school system, as well as at Lincoln Center Theater, where he teaches Shakespeare and devising, and CO/LAB Theater Group, where he offers individuals with developmental disabilities a creative and social outlet through theater arts. Whether it's on stage, behind the camera, or in a classroom, Sam strives to make work that celebrates hard work, creative expression, thoughtful collaboration, and the human spirit. He is always on the lookout for new opportunities for growth and development as a performer, artist, and good human. Sam recognizes that these opportunities often come from unexpected places. He welcomes that. Sam Jay Gold likes to do many things. He does stuff!